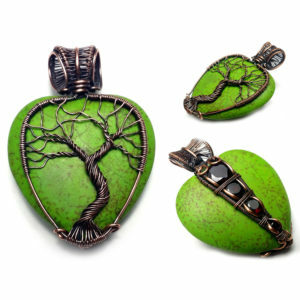 Welcome to Timeless Tempest, my humble website dedicated to my wearable wire art! My names Bobi, and I have been creating wire wrap jewelry professionally out of my home in Peru IN for the past 4 years. Please feel free to check my gallery out to see some examples of past orders I have made for some of my customers. Thanks for visiting! 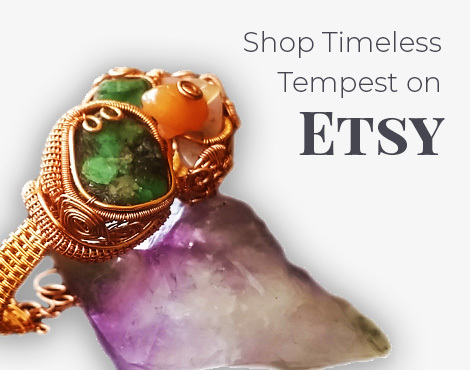 Timeless Tempest offers a variety of styles of handmade wire jewelry for sale , such as wire wrapped pendants, wire wrapped rings, wire wrapped crystals, wire wrapped bracelets, and more. All my pieces are always made to order, with each piece being one of a kind, lovingly crafted by me, Bobi Allen. Would you like me to make a specific piece of custom order jewelry for you? No problem! 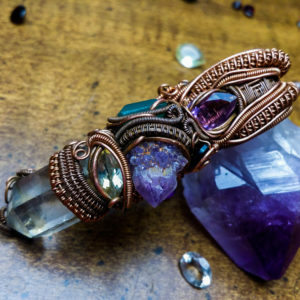 I’m always happy to take on your custom wire wrapped jewelry task, and bring your vision to life. If you have a special piece of jewelry that you would like me to create for you, please go ahead and use my custom order inquiry form to shoot me an email. 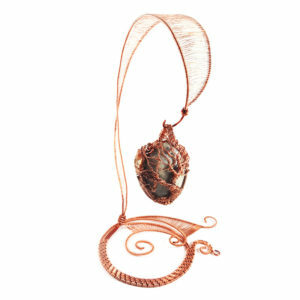 Do you want to learn how to make your own wire wrapped jewelry yourself? 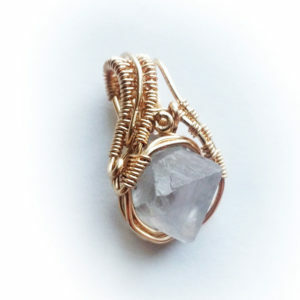 Feel free to browse my downloadable wire wrap jewelry tutorial pdfs. 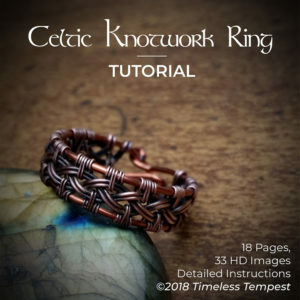 All my pdf tutorials include high resolution images and easy to follow detailed instructions, which make learning wire wrapping for beginners or advanced a breeze. 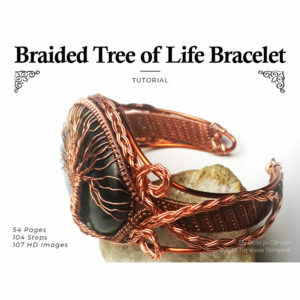 Timeless Tempest is a mix of unique wire wrapped jewelry made to order, as well as step by step wire wrapping instructional tutorials for the diy artist in all of us. © 2018 Bobi Gilman and Timeless Tempest Jewelry. All Rights Reserved.